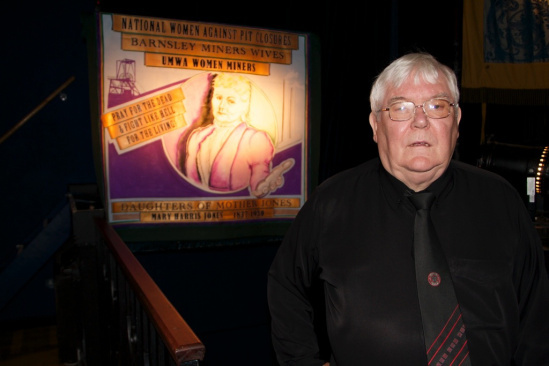 The Cork Mother Jones Committee is shocked to learn this evening of the sudden death earlier today of Dave Hopper, Chair of the Durham Miners’ Gala and a great friend and supporter of our festival. Dave was due to visit Cork later this month for the 2016 Spirit of Mother Jones Festival and we were very much looking forward to his as always forthright and intelligent contribution. Just a week ago a member of Cork Mother Jones festival visited Durham for the annual Miners’ Gala and met with Davy who was also looking forward to his trip to Cork. We are deeply saddened to hear of Davy’s passing. We are certain that he will be a huge loss to the trade union movement and to the struggle for social justice and decency in his own country and internationally. Davy as truly a man with the determination and spirit of Mother Jones. Our sympathy to his family and friends. 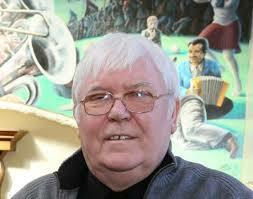 Davy Hopper, a tough, lovely & witty miners’ campaigner in 1984 who i got to chat with twice. He will be missed but his spirit in not just a festival but fighting against cutbacks lives on & i hope he would have enjoyed this anthem . R.I.P Davy https://youtu.be/R_Rfkhg7s_M.